A recent study by WalletHub concludes that Florida is the worst state to get into a car accident. That bad news for Florida drivers may not come as a surprise to those who have recently been in an accident. The study cited Florida’s minimum insurance requirements as being problematic. According to state law, each driver must carry a minimum of $10,000 in personal injury protection (PIP) and a minimum of $10,000 in property damage liability (PPI). Those minimums are often not enough to cover injuries and damages. If you’re in an accident and the other driver is negligent, then you may collect for damages to your vehicle through the other driver’s PDL. However, if you are injured, your medical bills will first be paid for by your insurance company and/or perhaps the negligent driver’s insurer. Overall, and compared to other states, the $10,000 minimum is low. As an example, Alaska’s minimum for PIP is $50,000 per person. Although, according to the law, every driver must be insured in the state; however, many Florida drivers do not abide by this law.Referring back to the same WalletHub study, almost one-quarter, 23.8%, are uninsured. This type of risky behavior can result in a driver searching for ways to seek compensation or a settlement for injuries and damages that are the responsibility of the uninsured driver. One way that a driver can protect him/herself from those who do not have mandatory car insurance is to pay for uninsured motorist coverage. Although such coverage will raise your insurance premium, it will offer you peace of mind and the protection that you need if you are in an accident with an uninsured driver. In a state in which a large number of drivers do not even carry the minimum amount of insurance required, uninsured motorist coverage is a good idea. 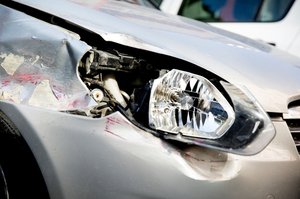 Florida is a state that offers drivers who are injured many challenges. Along with low insurance minimums and a large number of uninsured drivers, there are various restrictions on who may bring a personal injury lawsuit. In order to do so, someone who has suffered injuries must have permanent scarring, a serious disability, and/or extreme physical and/or emotional damage. Finally, if you have been in an accident and have not seen a medical professional withinfourteen days of your accident, then your insurance will not cover the expenses related to your injuries. If you have suffered personal injuries in a car accident and another person is at fault, it is important to have your injuries evaluated by a health care professional in a timely manner and to see a personal injury lawyer as soon as possible. Failure to do so can result in your being unable to be compensated for your injuries and damages, and that can be frustrating and extremely costly.